The idea of Mickey Rooney, the eternal young kid of the MGM musicals, as Pinocchio sounds like a sure bet. Of course that, back in 1957, Rooney was no longer a kid, but I’m sure the young spirit was still there. 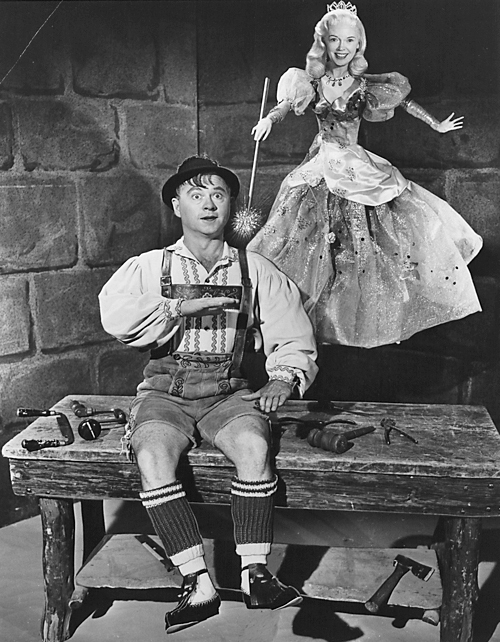 “Listen to Your Heart” is a beautiful ballad sung five times, first by Fran Allison and then by Mickey Rooney. “Happy News” isn’t bad and I can say the same about “The Birthday Song”. “Lullaby” is just that and not that interesting. 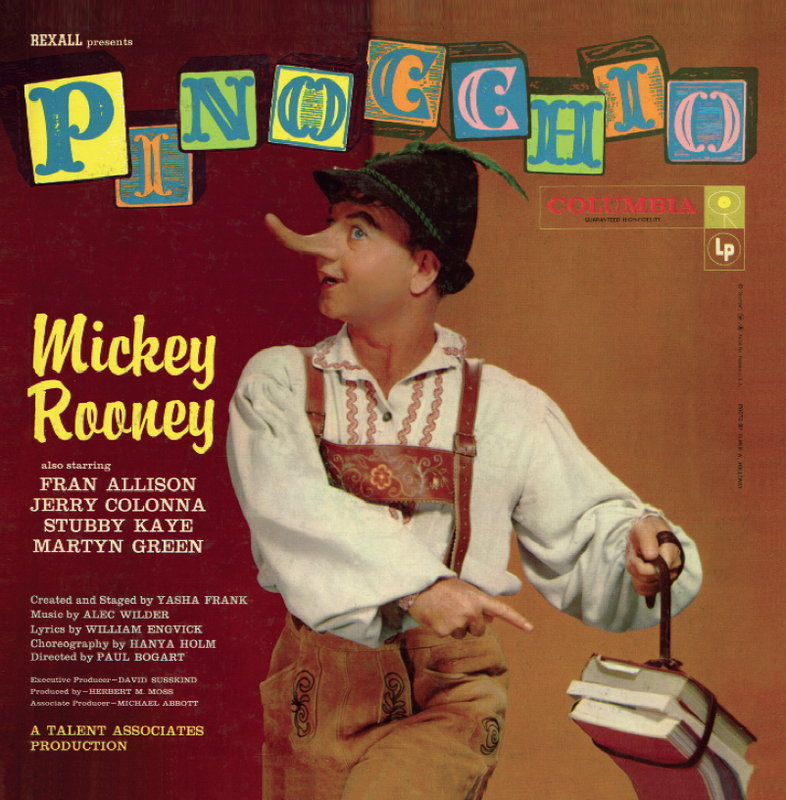 As for “Pinocchio’s Song”, well it doesn’t work for me and in it Rooney reminds me of Harvey Fierstein. 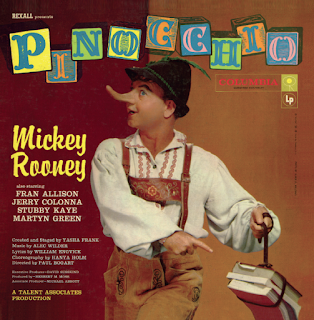 There’s also plenty of narration by Rooney and I’m not very fond of talk in soundtracks or cast recordings. This soundtrack is more important as an historic one than as a good score. Recommend for big fans of Rooney and specially for collectors of musical rarities. 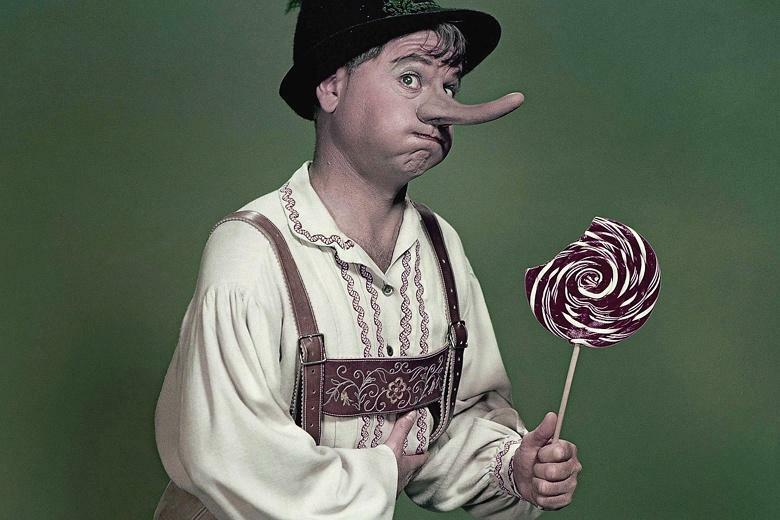 Personally, I wish that one of these days someone will release the soundtrack of another PINOCCHIO television special, the one starring Sandy Duncan and Danny Kaye, with a score by Billy Barnes.